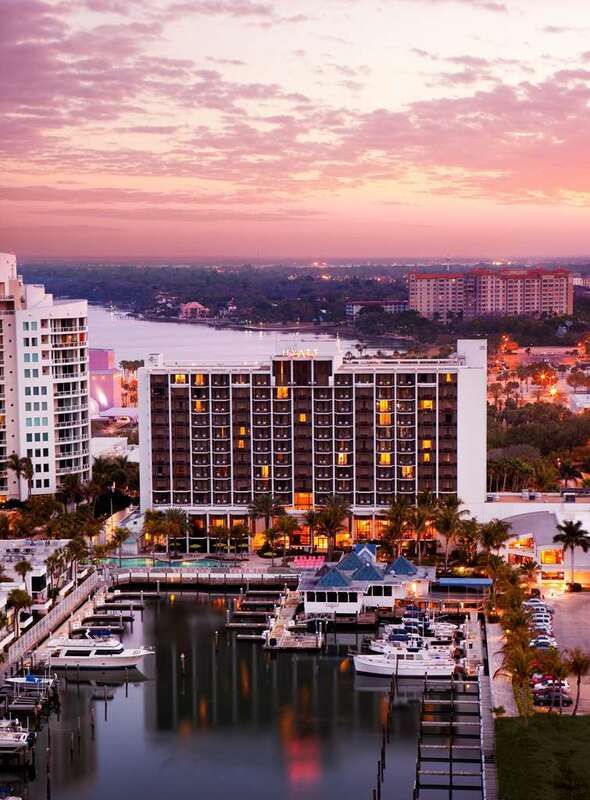 Located on Sarasota Bay with Private Marina, lush tropical gardens nestled in Theater and Arts Cultural Center. Minutes away from white-sand beaches,World renowned shopping and Ringling Ca'DaZan and Museum. Ideal for business and pleasure. Current Bar: Everyone's favorite meeting place for great cocktails and conversation. Currents Restaurant: A chic upscale dining establishment overlooking the bay featuring Floriddean cuisine.